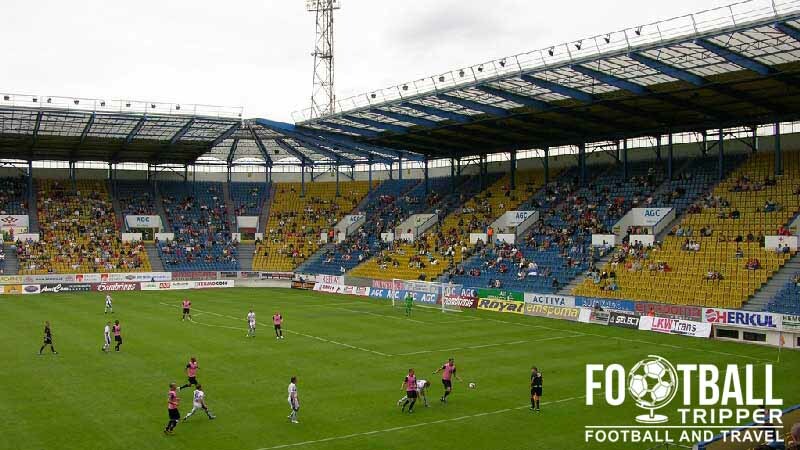 Na Stínadlech is a multi-purpose sports venue located in the north-western Czech Republic town of Teplice. 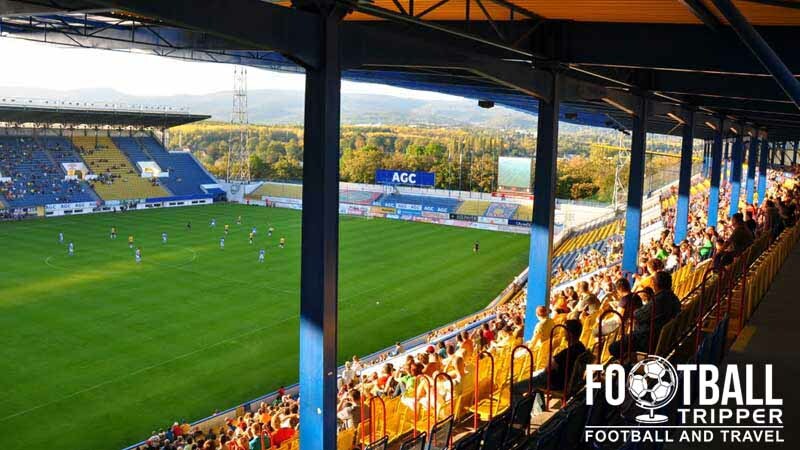 Predominantly used for the football matches of First League team FK Teplice, the 18,221 capacity ground also hosts matches of the National Men’s Football Team. Stadion Na Stínadlech first opened in May 1973 to coincide with the anniversary of the liberation by the Soviet Army – an event which would is unlikely to be celebrated since the collapse of the communist government. Purpose built to host football matches, and thus it does not feature an athletics track, it has proven to be very popular with supporters across the country. Capable of seating 18,211 fans, it is the third largest football ground in the country behind Eden Arena and Stadion Letna. 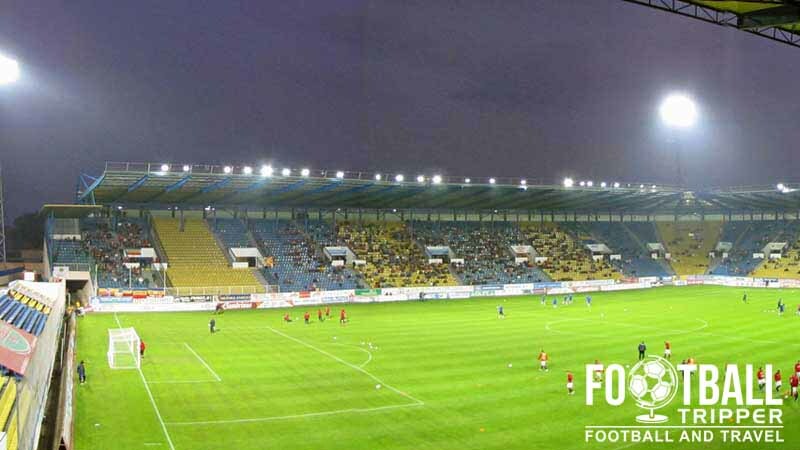 During the 2010/2011 season FK Teplice allowed FK Ústí nad Labem to groundshare Na Stínadlech with them after their Mestsky Stadion failed to satisfy the league’s criteria for stadium. The highest level of football held at Stadion Na Stínadlech is undoubtedly the International matches of the Czech Republic National Team. At club level, fans would probably point to the 1999/2000 season were they faced Borussia Dortmund in a third round qualifier for the Champions League. 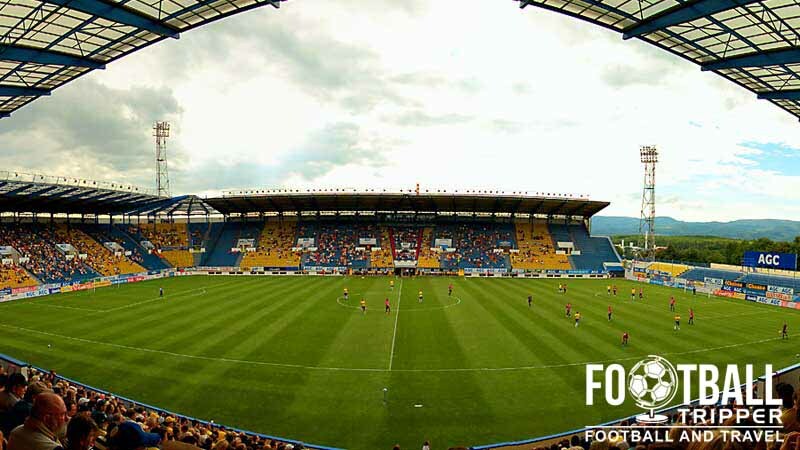 FK Teplice have also played several UEFA Cup matches over the years, most notably the 2003/2004 season were they faced Kaiserslautern, Feyenoord and Celtic in quick succession. Stadion Na Stinadlech is comprised of four stands: North, East, South and West.